What is Dispensationalism and how does it relate to salvation? 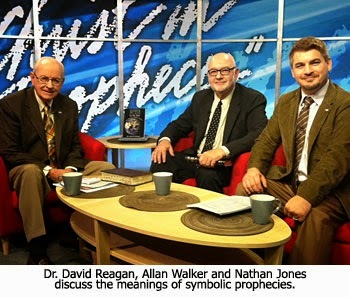 Allan Walker: Bible Prophecy 101 helps to give an overall understanding of the Word of God. It summarizes God's plan into a few brief presentations that give an overview of the main people and events of Scripture. Dr. Reagan: I love that, Allen. So often people are obsessed with the details, like the meaning of 666 or the 144,000. They seldom get the big picture. And that's basically what you've been teaching is — the big picture. Allan Walker: Yes, Dave. History is divided into seven time periods or dispensations. There are five of those time periods in the Old Testament leading up to the death, burial and resurrection of Christ. We're in the sixth time period right now called the Church Age which will close with the events of the end times. The seventh time period is when our Lord Jesus Christ rules and reigns on the earth in the Millennial Kingdom. Those seven time periods give a grand overview or panorama of the Word of God. Dr. Reagan: In addition to that you also talk about the signs of the times? Allan Walker: Yes, I teach on current events in relation to Bible prophecy. This generation is seeing more prophecy being fulfilled than has ever been fulfilled in history. Nathan Jones: Allan, you have divided Bible Prophecy 101 into two parts, the first part being God's Plan for the Ages. Can you explain to us what that means? Allan Walker: Sure. God has a plan from Genesis to Revelation which is divided into seven dispensations or time periods. To reiterate, five of these dispensations in the Old Testament lead up to the death, burial and resurrection of the Son of God. Let's start with the first dispensation. The first time period is called Innocence, when Adam and Eve lived in the Garden. After the Fall of mankind into sin, a second time period followed which is called Conscience. Nathan Jones: The people then lived by their consciences? Allan Walker: Yes, they were to live by conscience. In each one of these dispensations, mankind has been given a specific responsibility from God. Man has always broken that commandment by sinning against God, and that has brought judgment down on every time period. And yet, salvation has always been offered by grace through faith throughout every dispensation. Nathan Jones: What was the third dispensation? Allan Walker: The third dispensation was Human Government, which was instituted by God after the Flood. The fourth dispensation was Promise, which began with the call of Abraham. We see from Genesis 1-11 that God had always dealt with the human race as a whole, but after the call of Abraham we see a major turning point in God's plan and the beginning of His dealings particularly with the Jews. Romans 9, 10, and 11 in the New Testament deal with God's past, present and future dealings with the nation of Israel. The fifth dispensation was the Law, which was given to Moses by God to give the Israelites. This is some 1,700 years before Christ's birth and which leads up to the death, burial and resurrection of Christ. Christ fulfilled the Law through His death. Today, you and I are now living in a special time period called the dispensation or Age of Grace, which follows the First Coming and precedes the Second Coming. Dr. Reagan: I've never liked the term "The Age of Grace," because it leaves the impression there was no grace before that. I prefer to call it "The Church Age." Everyone throughout history has been saved by the grace of God. Allan Walker: Yes, from Abel all the way through the Old Testament. Dr. Reagan: But I do understand why it's called the "The Age of Grace." Allan Walker: The Age of Grace or the Dispensation of Grace or the Church Age, they are all very common sayings. God has a plan and purpose for the Church and His plan and purpose are being worked out today as the Gospel is being spread among the nations. God is visiting the Gentiles to call out a people for His name. Afterward the Tribulation, Jesus will come to rule and reign on the earth. He will fulfill the Davidic Covenant, the Palestinian Covenant and the Abrahamic Covenant. These covenants deal with the literal fulfillment of Bible prophecy. We are not talking about prophecy as it's symbolic, but rather prophecy that is literal and will be fulfilled literally. Jesus is actually coming back to rule and reign on the earth, and the Devil knows that. That's why there's so much conflict stirred up in the world today over the Middle East and who the land of Israel belongs to. The conflict of the ages is coming to a head in our day and time. Dr. Reagan: There are symbolic prophecies, but the ultimate fulfillment of all prophecy is literal. I mean it has to be, or else you can't tell whether it is prophecy or not. You must have a literal fulfillment. That's quite an overview there of God's plan through the dispensations. Allan Walker: Some people have focused on one particular segment of the Word of God to the exclusion of all the rest. Scofield in his writings said that the reason people give up on the Word of God is because they don't understand how all these various pieces fit together. Nathan Jones: We often get emails from people who ask, "How are people saved in the Old Testament?" Dispensationalism kind of answers that question. God had different systems of government at different times for bringing people to Him for salvation. People certainly could be saved before the Mosaic Law and before Jesus died on the cross. Nathan Jones: How does salvation play into each of these dispensations? Allan Walker: We started out with Abel in the book of Genesis. Hebrews 11:4 says, "By faith Abel offered onto God a more excellent sacrifice than Cain, by which he obtained witness that he was righteous, God testifying of his gifts and by it being dead yet speaks." We know that Abel brought a blood sacrifice, but Cain brought the fruit of the ground. We see that the first person of faith produced a martyr, but the first religious person produced a murderer. Down through the centuries religion has been intolerant of those who took God's plan of salvation by grace through faith and followed the blood covenant. An ocean of human blood has been shed through the centuries over these issues. Dr. Reagan: One point I'd like to make very clear is that when we talk about people saved in Old Testament times, we're really talking about a partial salvation, because their sins were covered by their faith. Their sins were not forgiven until the perfect sacrifice was offered on the cross. In fact, in Old Testament times when faithful people died, they didn't go to Heaven. They went to a place called Hades to a compartment called Paradise. Then, when Jesus died on the cross, their sins were not merely covered, but their sins were forgiven. Then when Jesus went to Heaven He took these saints with Him. Today, when we accept Jesus, our sins are not only covered, they are also forgiven immediately. And, when we die, we go directly to Heaven. The sacrifice of Jesus is central to salvation all throughout time. Allan Walker: Scripture shows that we live under a much better covenant now than in the Old Testament, which was just a type or a shadow. We live in the reality of that. We are new creations in Christ, washed in His blood, indwelt by His Spirit, and sons and daughters of God. In the second segment of this series on Bible Prophecy 101, Allan will explain how important Leon Bates' Bible Map was to his learning of God's plan for the ages.